An oil based feed supplement providing a natural source of Vitamin A, D & E as well as additional vitamins and Linoleic Acid, shown to have a beneficial effect on coat condition. Wheatgerm Oil Blend from Animal Health Company can also be used to promote higher performance and increased endurance in eventing horses. An effective supplement at breeding time also, this brand contains cold pressed, unrefined and unprocessed wheatgerm that retains 100% of its natural goodness and beneficial properties to create a potent and popular product. 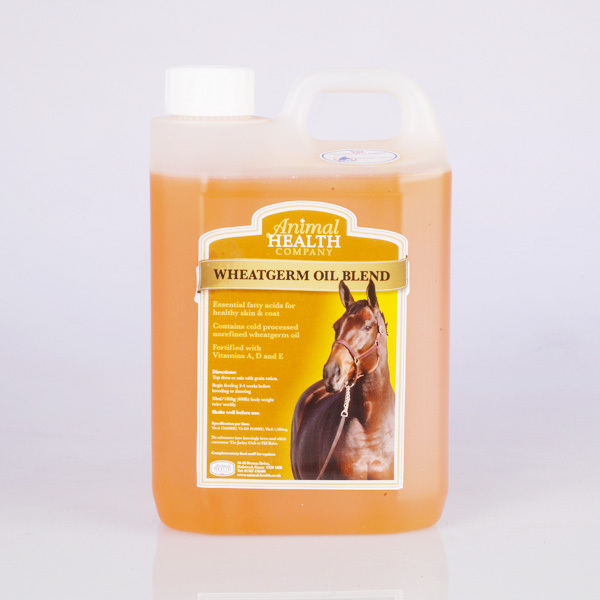 There are currently no questions for Animal Health Company Wheatgerm Oil Blend for Horses - be the first to ask one!